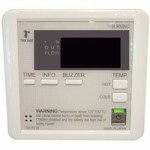 The Temperature Remote Controller has two functions. 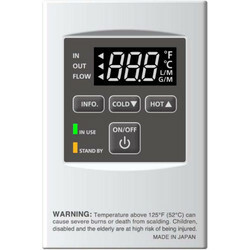 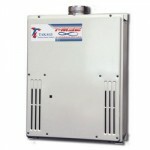 It allows the output temperature from the water heater to be adjusted within the range of 100 °F to 185 °F, and it also works as a diagnostic tool that will give a concise error code whenever there is a problem with the unit. 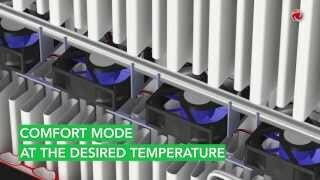 The temperature options are 100 °F, 105 °F, 110 °F, 115 °F, 120 °F, 125 °F, 130 °F, 135 °F, 140 °F, 145 °F, 150 °F, 155 °F, 160 °F 165 °F, 175 °F and 185 °F.